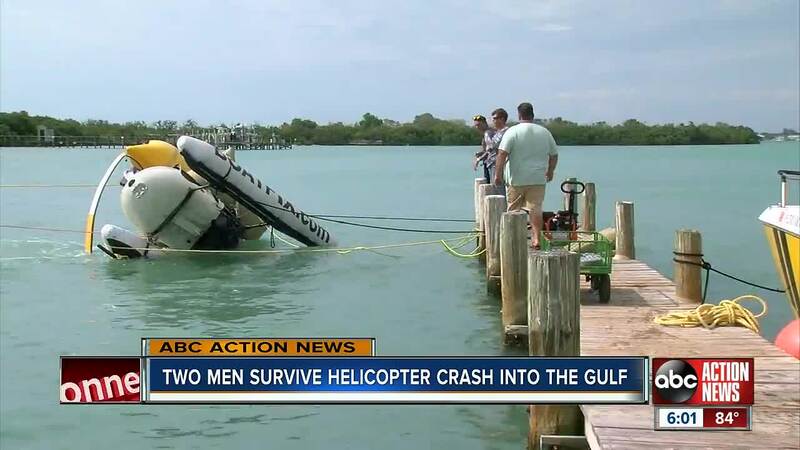 MANATEE COUNTY, Fla. — A pilot and co-pilot walked away uninjured after the helicopter they were in went down near Inter-coastal Waterway off Bradenton Beach. The Manatee County Sheriff's Office says around 12 p.m. on Saturday the pilot and co-pilot were flying when the pilot made a maneuver, but failed to realize he didn't have the altitude for it. The aircraft ended up flying straight into the water. A jet skier who responded to help the pilots after they hit the water took this picture. Marine deputies towed the helicopter to the Coquina boat ramp, where they off loaded the uninjured pilots. The Bradenton Beach Police Department captured this picture of the helicopter right before it hit the water. The sheriff's office says the pilot recently received his license and the FAA has been notified, and will follow up with him later.